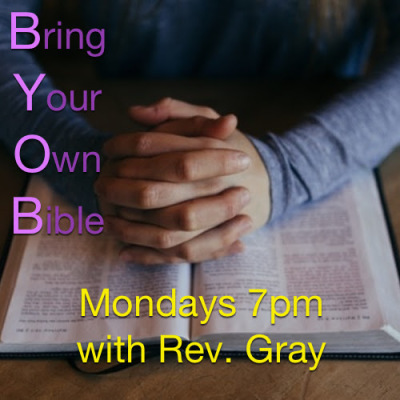 Bring your own Bible on Mondays at 7pm and meet new and old friends. Bible study is located in The Christian Education Wing of the Church, 347 Thompson Road. 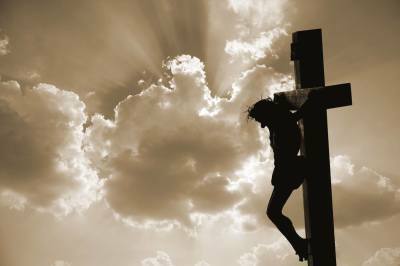 Good Friday: Join us on Friday April 19, 2019 at 7pm as we remember the crucifixion, death, and burial of Jesus as we place this central act of the Christian faith in the context of God’s work of creation, redemption, and salvation. 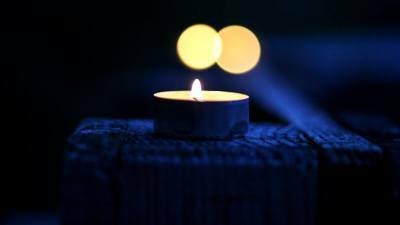 Holy Saturday Meditation: Join us at 12pm (noon) on Saturday April 20, 2019 as we wait in silence and reflect on the meaning of this day as Jesus lies dead in the tomb waiting for the glory of Easter. Easter Sunrise Service: Join us as we gather together at the West Thompson Cemetery in praise and rejoicing at the resurrection of Christ. The West Thompson Cemetery is the original cemetery of Thompson Congregational, United Church of Christ. Meeting in the cemetery on Easter morning is a Protestant Church tradition dating back to 1732, which connects us both to the past saints of our church and the celebration of Jesus' triumph over death. The service will begin at 5:45am on April 21st. 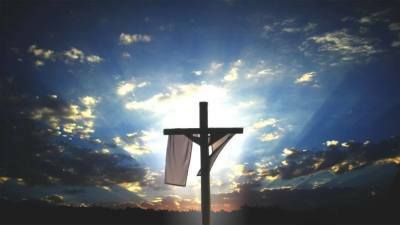 Thompson's Easter Traditional Worship: Come worship with us on Easter morning as we celebrate the Resurrection of Jesus. We meet at 9am in the chapel of the campus of Marianapolis Prep School (26 Chase Road, Thompson, CT 06277). No matter who you are or where you are on life's journey, you are welcome here!! Anti-Bullying Vigil: As we continue our work to end bullying in our community, come out to TEEG (15 Thatcher Rd) on May 15th at 7pm to mourn the hurtful words and actions that have taken place, and to pray for God's guidance for our community as we seek to make Thompson a loving community for everyone. As always no matter who you are or where you are on life's journey, you are welcome at Thompson Congregational, United Church of Christ!! 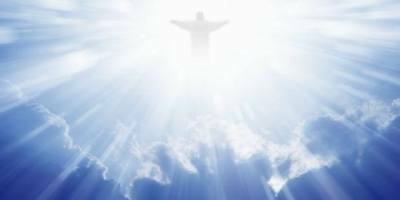 Ascension Sunday on The Common: Come and join us outside on the common on June 2nd at 9am for a worship service celebrating Christ's ascension (Luke 24:44-53). 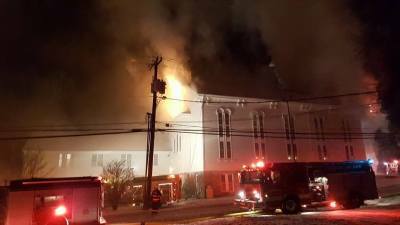 We will provide chairs and refreshments afterward. You just come and enjoy worshiping with us. As always, no matter who you are or where you are on life's journey, you are welcome at Thompson Congregational, United Church of Christ!! 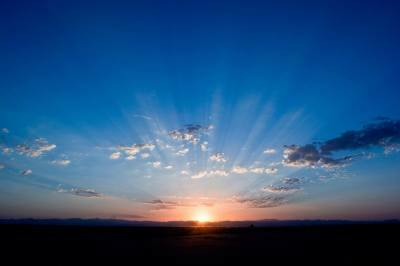 My death and return following a heart attack January 25, 1995 in Santa Fe, NM, was referred to as, “---a medical miracle!” The doctors failed to revive me but I was “---allowed to come back!” I will share with you the beautiful, powerful story of my experience and those of other ‘Experiencers’ too. I’ll also seek your thoughts on the meaning and significance of the bright light, peace beyond all understanding, our role(s) having been ‘sent back’, etc. 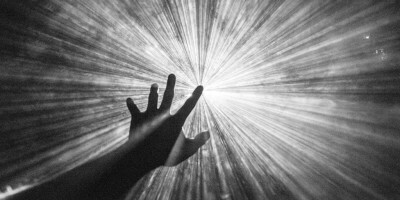 What can we learn from such experiences about what lies beyond? Whether you are a seeker, skeptic or just curious, please come, share and learn! Bio: A seasoned speaker and 40-year member of Thompson Congregational, United Church of Christ, Ron relates his very personal near death experience with the systematic approach of a scientist, the sensitivity of a spiritualist, and the style of a story-teller. Pentecost Birthday Bags: Each year we celebrate the day of Pentecost (Acts 2:1) as the birthday of the Church. What better way for us to celebrate our birthday than to help others celebrate theirs?!? Bring a gift bag filled with: cake mix, canned frosting, candles, balloons, and a birthday sign. All of these items can be purchased at Dollartree for just over $6. Please bring your bags to worship any Sunday morning or to the church anytime the office is open. 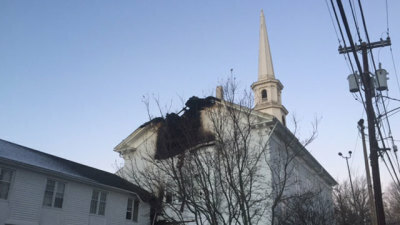 We will bless them at our Pentecost worship service on June 9th. They will then be distributed by TEEG. 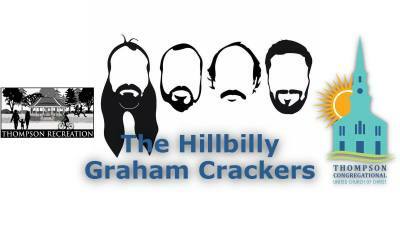 Bring your lawn chairs, blankets, snacks, and beverages to join Thompson Recreation and Thompson Congregational, United Church of Christ for an outdoor concert featuring The Hillbilly Grahamcrackers! This is a free family-friendly music event!! Come down to Riverside Park (across from Thompson Town Hall) on June 14 at 7pm! 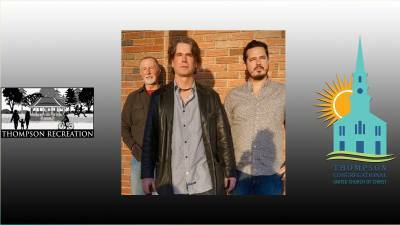 Bring your lawn chairs, blankets, snacks, and beverages to join Thompson Recreation and Thompson Congregational, United Church of Christ for an outdoor concert featuring The Kenn Morr Band! The Kenn Morr Band is an original Alternative Folk Rock band from N.W. Connecticut featuring the original songs of Kenn Morr played by top-notch musicians Tom Hagymasi and Pat Ryan. This is a free family-friendly music event!! Come down to Riverside Park (across from Thompson Town Hall) on June 21 at 7pm! Thompson Congregational, United Church of Christ is partnering with Thompson Recreation for a free Movie Night! 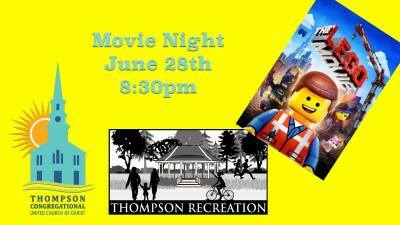 Come out to Riverside park Thompson on June 28, 2019 at 8:30pm to see The Lego Movie! We will provide free pizza. You just need to bring a blanket or chair to sit on. Come enjoy this evening with your best Thompson friends!!! Bring your lawn chairs, blankets, snacks, and beverages to join Thompson Recreation and Thompson Congregational, United Church of Christ for an outdoor concert featuring Hang 5! 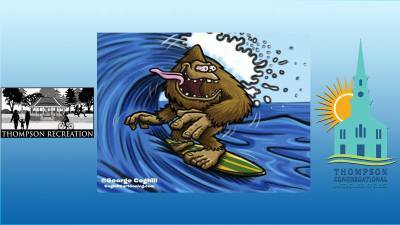 Hang 5 is a band from Webster MA that plays Surf, Rockabilly, and Classic Blues/Rock/R&B. This is a free family-friendly music event!! Come down to Riverside Park (across from Thompson Town Hall) on July 12 at 7pm! Thompson Congregational, United Church of Christ is partnering with Thompson Recreation for a free Movie Night! 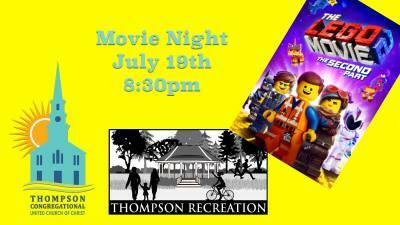 Come out to Riverside park Thompson on July 19, 2019 at 8:30pm to see The Lego Movie 2! We will provide free pizza. You just need to bring a blanket or chair to sit on. Come enjoy this evening with your best Thompson friends!!! 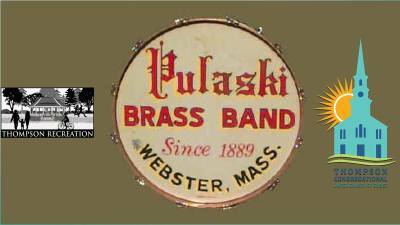 Bring your lawn chairs, blankets, snacks, and beverages to join Thompson Recreation and Thompson Congregational, United Church of Christ for an outdoor concert featuring the Pulaski Brass Band! This is a free family-friendly music event!! Come down to Riverside Park (across from Thompson Town Hall) on July 26 at 7pm! 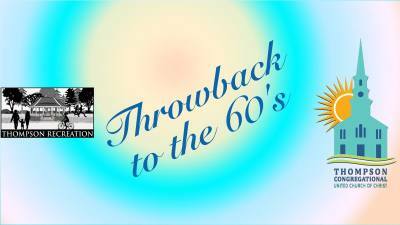 Bring your lawn chairs, blankets, snacks, and beverages to join Thompson Recreation and Thompson Congregational, United Church of Christ for an outdoor concert featuring Throwback to the 60's! This is a free family-friendly music event!! Come down to Riverside Park (across from Thompson Town Hall) on August 2 at 7pm! 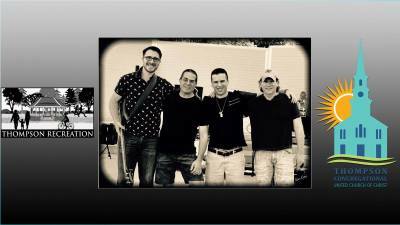 Bring your lawn chairs, blankets, snacks, and beverages to join Thompson Recreation and Thompson Congregational, United Church of Christ for an outdoor concert featuring the Jesse Liam Band! This is a free family-friendly music event!! Come down to Riverside Park (across from Thompson Town Hall) on August 9 at 7pm! Bring your lawn chairs, blankets, snacks, and beverages to join Thompson Recreation and Thompson Congregational, United Church of Christ for an outdoor concert featuring Southern Voice! 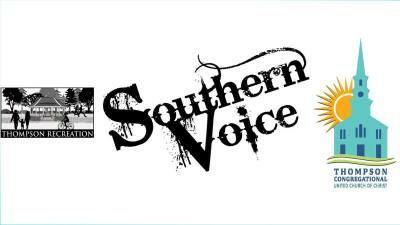 Southern Voice plays the best of modern country from artists such as Lady Antebellum, Tim McGraw, Miranda Lambert, Kenny Chesney, Blake Shelton and many more. This is a free family-friendly music event!! Come down to Riverside Park (across from Thompson Town Hall) on August 16 at 7pm! Thompson Congregational, United Church of Christ is partnering with Thompson Recreation for a free Movie Night! 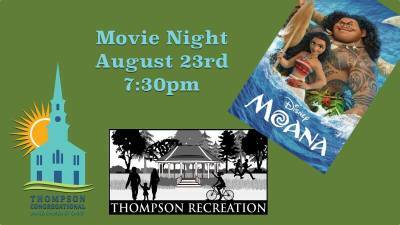 Come out to Riverside park Thompson on August 23, 2019 at 7:30pm to see Moana! We will provide free pizza. You just need to bring a blanket or chair to sit on. Come enjoy this evening with your best Thompson friends!!! Thompson Congregational, United Church of Christ is partnering with Thompson Recreation for a free Movie Night! 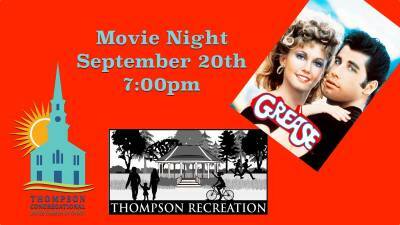 Come out to Riverside park Thompson on September 20, 2019 at 7pm to see Grease! We will provide free pizza. You just need to bring a blanket or chair to sit on. Come enjoy this evening with your best Thompson friends!!! 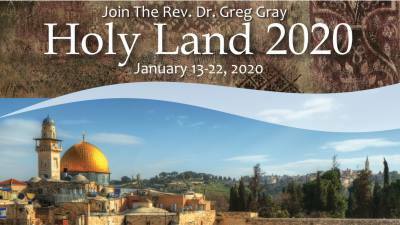 Holy Land Pilgrimage 2020: We invite you to join me on this Holy Land program that will expand our knowledge of the Bible and this sacred land. A journey following in the footsteps of Jesus will change the way you read the Bible, and you will learn why scholars refer to it as the “Fifth Gospel”. Please consider this brochure my personal invitation to be a part of this adventure in faith and join me in experiencing a once in a lifetime journey as we walk where Jesus walked! The trip will be January 13-22, 2020. Save the date and bring a friend!